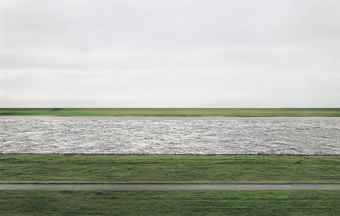 This photo, Rhein II by Andreas Gursky, fetched the princely sum of $4,338,500 in Christie's last Tuesday. Which just goes to show that once an artist becomes sufficiently famous, they can crank out any old tat, then sell it for a shedload of money. El T particularly likes the Emperor's new clothing strewn across the foreground.